Putting up an item for sale in a Campus Marketplace is just like selling stuff anywhere else on the app. Once you've successfully joined your school's Campus Marketplace, you can choose to cross-list your items in your Campus Marketplace. You are free to include only specific listings in the Campus Marketplace and have other listings be kept listed on the public Carousell marketplace. First, tap "Sell" to get started. The sell button is on the top right hand corner of the screen on Android, and at the bottom of the screen for iOS. Next, choose a cover photo for your listing. You can either use the in-app camera to take a photo of your item or pick a photo from your camera roll. To use a photo from your camera roll, tap "Choose an existing photo from gallery" (on Android) or the "Gallery" icon on the bottom right hand corner of the screen (on iOS). Edit your photos using the in-app photo editor, and make them look awesome! Great looking photos make great listings. 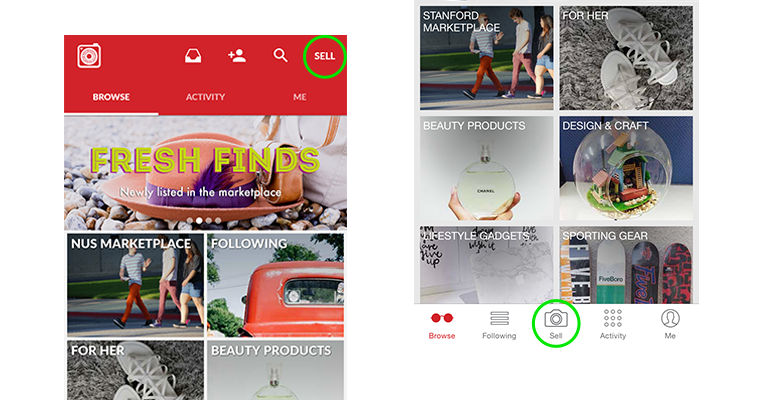 This all helps more people to discover your Carousell profile and shop from you. 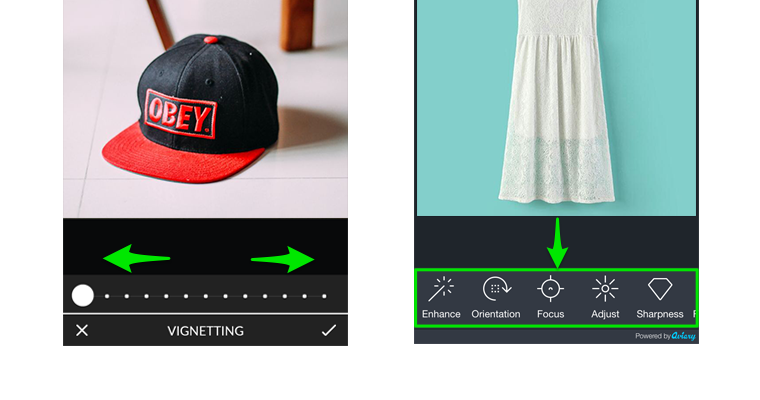 Play around with the functions in the editor to toggle brightness, contrast, sharpness and more. When you're done, just tap "ok" or the "tick" icon to move on to the next step. You can add up to 4 photos for each item listing, so make use of these slots to showcase your item's best angles or highlight any details / defects that the buyer should be aware of. 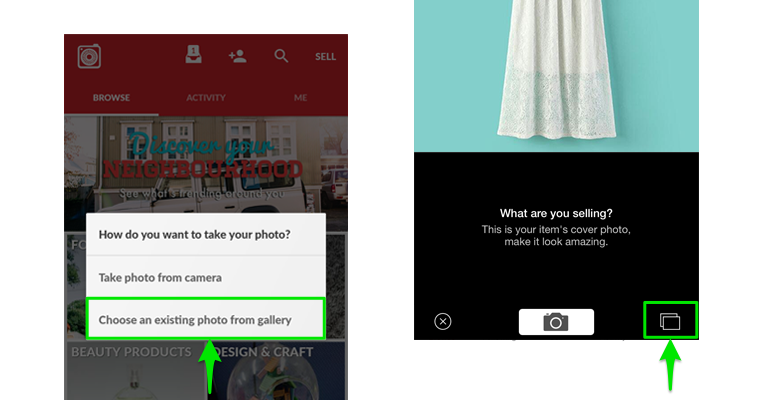 After adding photos to your listings, enter some item details to finish up. Choose a category, item name and price. Also ensure that you choose your Campus Marketplace under Groups to have the listing appear on the Campus marketplace too. If you have more info about the item that you'd like to include, you can type this in under the "Item" field. You can also toggle the sharing options at the bottom of the sell form to share your listing with friends and followers on Facebook or Twitter. Sharing your listing helps to reach out to more shoppers to get your item sold quicker! Tap "Submit" to list your item for sale on the marketplace. If you want to add your current listings to your Campus Marketplace, it can be easily done too! Simply go click on "Sell in Group" and choose the option "Add from Your Listings". An additional menu would pop up and you can choose the listings to add them to your Campus Marketplace. Once you are done choosing, tap on the option at the bottom of the page to add the listings. You're done! Your listing will now appear in both your Campus Marketplace and the public Carousell marketplace, and will be accessible by both your schoolmates as well as the general Carousell community. For more detailed information on how to deal with buyers, check out our Getting Started guide by clicking here.